Its mid May and things are looking good for another busy season! I was out yesterday (May17) just to target Lingcod which opened up May 1 in our area. One of the best spots around here for Lings is the south end of Campbell River. I like to slow troll the hump to the Lighthouse the last hour before slack tide. I run a large glow cuttlefish hootchie with a short 3' leader, I tie up a leader of 60LB test with tandom 6/0 hooks, leaving the trailing hook a inch back from the end of the hootchie.This combo is irresistible for lings, and you can pick up the odd spring like we did yesterday! The last few weeks have been a bit of a battle with weather and algae blooms in the Strait of Georgia. 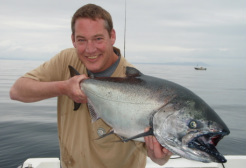 A few nice springs have been coming in off the south end of Quadra and Cortez Islands. Sentry Shoals has been fishing well on the south end of the reef in 160-200Ft of water. The fish have full belly's of large herring so 5" spoons and large green spatter back hootchies are the ticket! Bates beach is fairly consistent this year so far. Running standard gear on the bottom and an anchovie 40' off bottom works well. Grants reef has been another good spot this spring. I like fishing the west side in 140-180Ft working the contours north to south. Grants has a mix of different bait fish around so mixing up your gear and colors is a good idea! The weather is finally looking good, just in time for the long weekend! 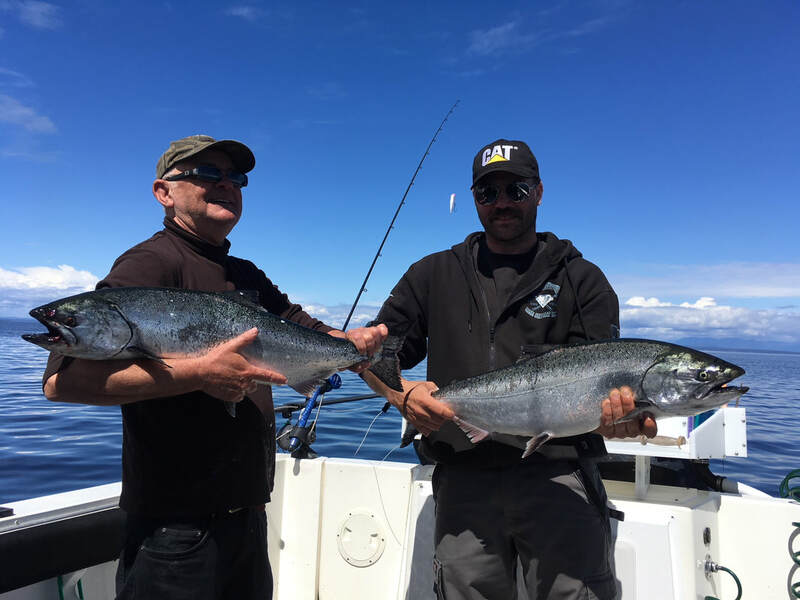 We are in the second week of May and things are looking good for 2016 salmon season! I am excited to be part of the Pro-Staff team with Gibbs Delta tackle again for the 2016 season! Great tackle and company along with an awesome network of guides! 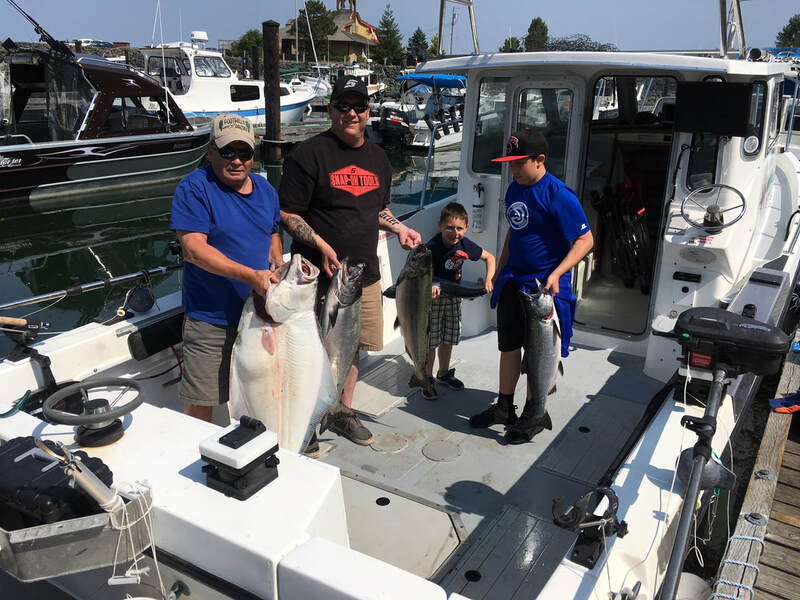 The south end of Campbell River starting with the "Hump" has had a lot of bait and some decent fishing on the slower ebb tides. 4" Silver Horde spoons with a short 42" leader behind the flasher have been working well. Wilby Shoals between the red and green can in the 180-220ft contours are also worth trying right now. rock fish/P-cod and the rest! Sentry Shoals and Grants reef have had some good fishing the last month, but the fish seem to move fast from these spots, good one day, slow the next! Kitty Coleman (Bates beach) has had some good fishing the last few weeks. Lots of bait stacks up on the flood tides and the springs follow it in. I have had some nice fish caught on Yamishita hootchies in the OGL239R color, but changing around the gear is a must. I have had a few days this week when fish are on the hootchies for a few hours then nothing, switch to a spoon and bang, fish on! 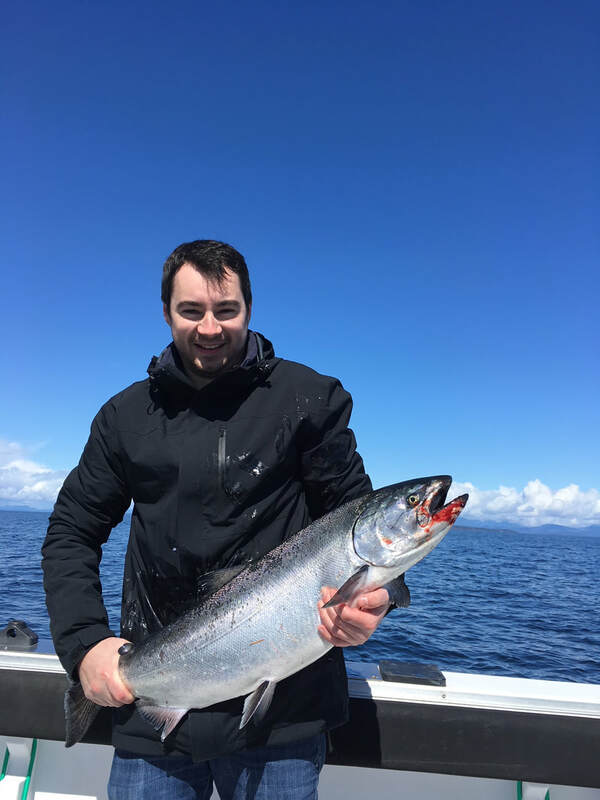 Hornby Island to the south has been producing some nice fish into the 20 lb range the last week! Fishing the 160-200ft contours on the west side of Norris rock with the spoons mentioned above and anchovies behind a Gibbs Purple Onion or any Glow/moon jelly flasher have been producing well.